Technology centers like the Bay Area, New York, and Seattle are becoming unaffordable for all but the wealthiest. What responsibility does the tech industry have to ensure that the cities it’s transforming remain livable for all? On Wednesday, Microsoft set the bar by establishing a $500 million fund to promote housing affordability in Seattle and the Eastside. We hope Microsoft’s actions are the start of a new trend: that tech companies can listen to communities, nonprofits, and governments about what issues need addressing and work alongside them to help in the best ways they can. Some issues, like housing affordability, cannot be solved by moving fast and breaking things. By working with the community, Microsoft has set a precedent that other tech companies would do well to follow. Housing investments go furthest when paired with good housing policy. In concert with Microsoft’s investment, nine Eastside and South King County mayors pledged to reduce barriers to housing construction, build more affordable housing, and allow the construction of denser housing near transit. These changes will help us address our regional housing shortage and enable more people to afford to live where they work. Seattle, where single-family zoning makes everything but McMansion construction illegal in 75% of the city, could use these reforms most of all. More companies should engage with elected officials on the foundational policy failures that fuel the housing crisis. Investments in affordable housing and sensible housing policy reform can keep our region accessible to everyone who lives and works here. Microsoft’s pledge puts us closer to that goal, but corporate philanthropy is no substitute for good governance. We should work towards a world in which everyone pays their fair share to a government that creates an equitable, sustainable, and inclusive society for all. 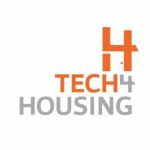 Tech 4 Housing is a community of tech workers who believe that the tech boom can and should benefit everyone. microsoft’s pledge is indeed very promising – curious what it will go towards, exactly. i’ll stay tuned.